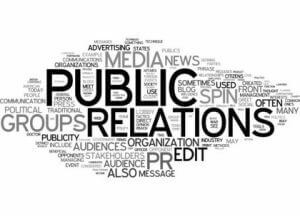 The acknowledgement that PR professionals make great contributions to the successful running of businesses has long since been made. Take a look around the offices of well-known institutions: of course, you’ll see the Chairman’s multi-aspect corner plot but, let the eye wander a bit further, and often you’ll encounter the Director of Communication set up, albeit in more modest fashion, next door to the boss. The office plan is a physical manifestation of the importance of PR insight in the day to day running of a business. Before a new strategy is rolled out, the question is how should it be packaged and communicated so as to make the most impact on the chosen audience? Enter the Director of Communications. By the same token, when a business is suddenly beset by a reputational crisis, how should it be dealt with to minimise the impact on staff and the general public. Another job for the Director of Communications. Surely it is only a matter of time before PR professionals become Chairmen as a matter of course. Their fingers are permanently on the pulse of a business and their minds in harmony with consumers; vital qualities in the success of any enterprise. On that note, it was gratifying to see John Fallon become the first PR man to take charge of a FTSE 100 company this year, when he became Chief Executive of Pearson, the learning company. Fallon had joined Pearson as Director of Communications and rapidly become indispensable. Yet his presence at the helm of a large listed business is the exception rather than the rule currently. Research from recruitment company Robert Half found that more than half of FTSE 100 bosses had a financial background, with others emerging from engineering (14%), retail/hospitality management (10%), marketing (6%) and IT (4%). If we fast-forward five or ten years, though, the figures may look very different. More and more companies are recognising the importance of PR in the business world and it is likely that Directors of Communication, the close allies and confidants of Chairmen, will find a direct route to the corner office and get the chance to run the show themselves.